Can you manage a successful panda park? Try our game to find out! Teachers, scroll down for a quick list of key resources in our Teachers Toolkit, including today’s simple MapMaker Interactive map. Giant pandas are actually solitary animals. These juveniles are hanging out at a preserve in Sichuan, China. Compare the contemporary and historic range of giant pandas with today’s simple MapMaker Interactive map. The second bookmark really displays the fragmented nature of the current panda habitat. A new national park in China will unite 67 panda reserves (!) in a protected area spanning 27,133 square kilometers (10,476 square miles). Why is one big park a more effective conservation strategy than the dozens of smaller reserves? healthier environment. Giant pandas are generally solitary animals, meaning they spend most of their lives alone. 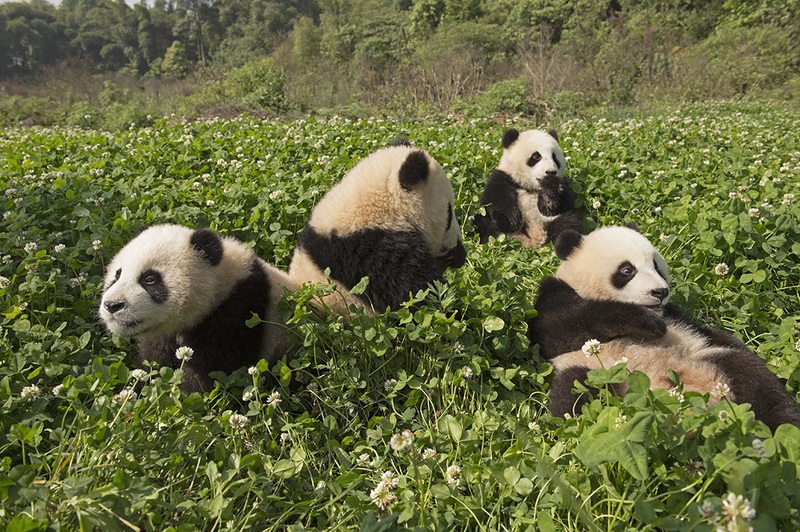 Pandas historically have large home ranges, so they can roam around without bumping into any other pandas. How will the park address the existing human settlements between and around the existing preserves? As the Fast Company article points out, the Chinese government has no problem relocating people who are in the way of major projects. More than a million people were forced to relocate during the 17 years it took to complete the enormous Three Gorges Dam, for example. Federal, local, and state governments are working to establish a geotourism industry in the area. This may include hotels, restaurants, guided tours, camping, research facilities, and educational spaces. How did U.S. parks inspire the design of the new panda reserve in China? I love pandas! They are so cute! I’m glad that reserves will be connected now! When I was in China with my husband, we have visited pandas an we loved them. I bought an amber pendant which has a shape of a panda. I really love it and it always reminds me of that trip.